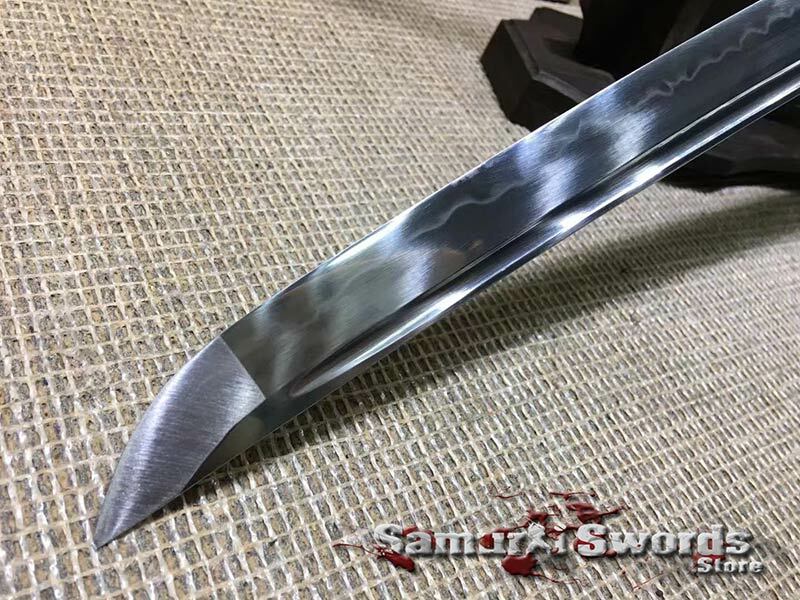 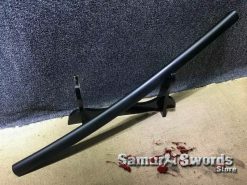 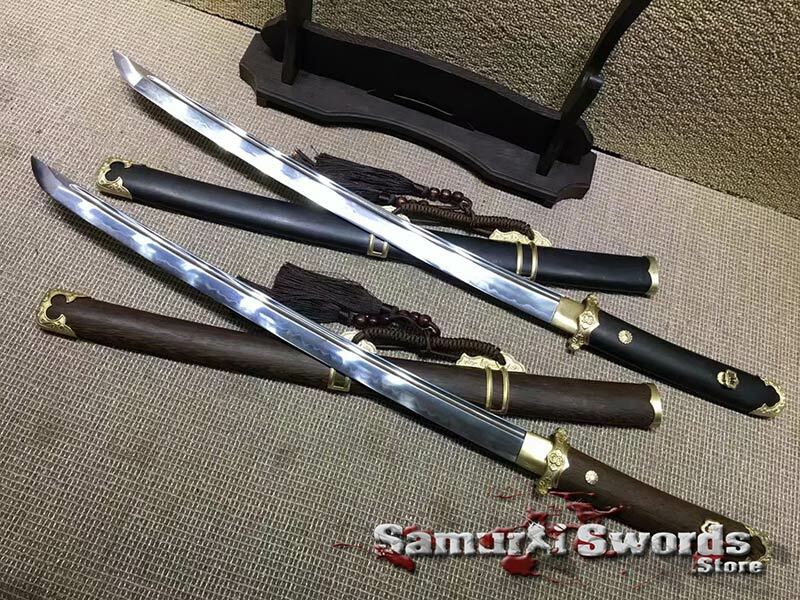 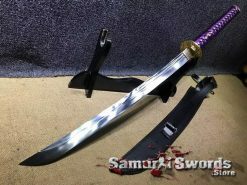 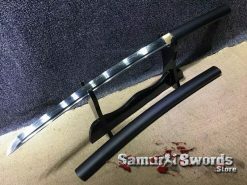 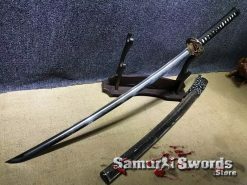 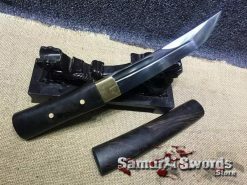 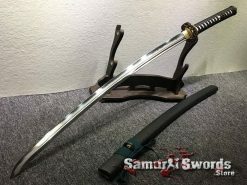 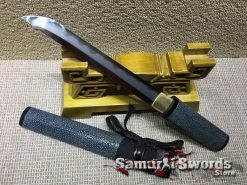 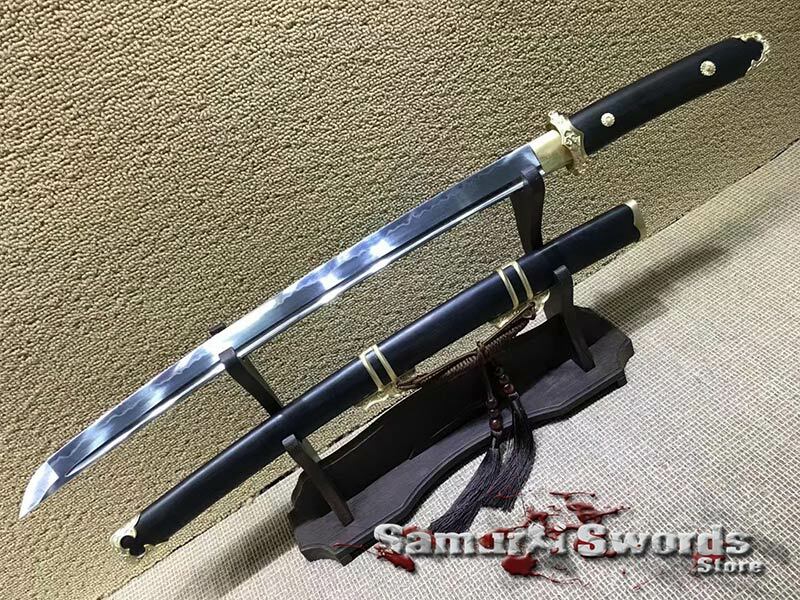 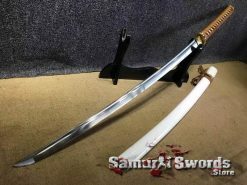 T10 Clay Tempered Steel Wakizashi Sword Full Tang and Fully Sharpened with Rosewood Or Ebony Wood Saya , Brass Fitting. 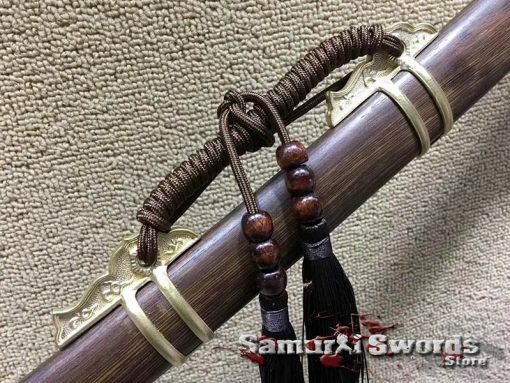 With a blade length of 53 centimeters and a handle length of 22 centimeters, this Wazikashi sword is truly made with excellence and art. 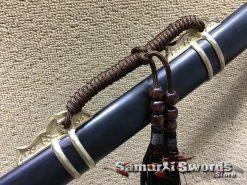 As the Katana companion, it is smaller in size, which makes it handy and convenient to carry and wield either with one or two hands. 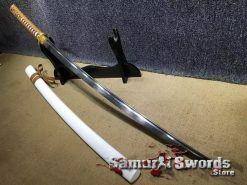 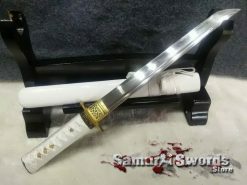 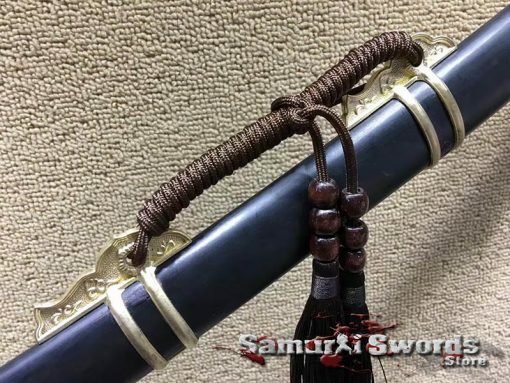 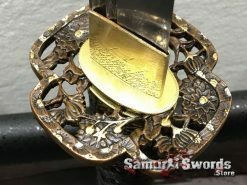 It can be used on shows and is also a valuable addition to sword collectors. 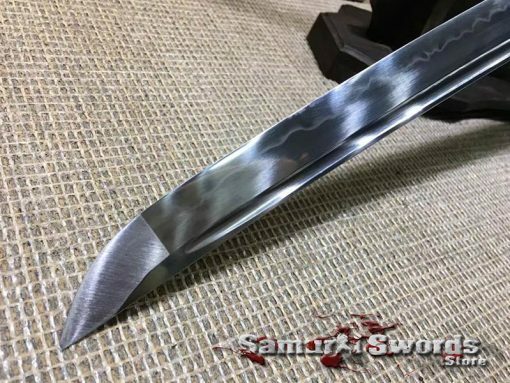 Its razor sharp edge and perfect balance allows the user to do quick precise cuts. 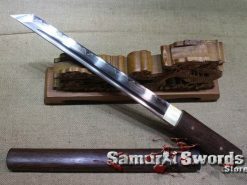 The Wazikashi sword is a symbol of a warrior’s physical strength, loyalty and discipline. 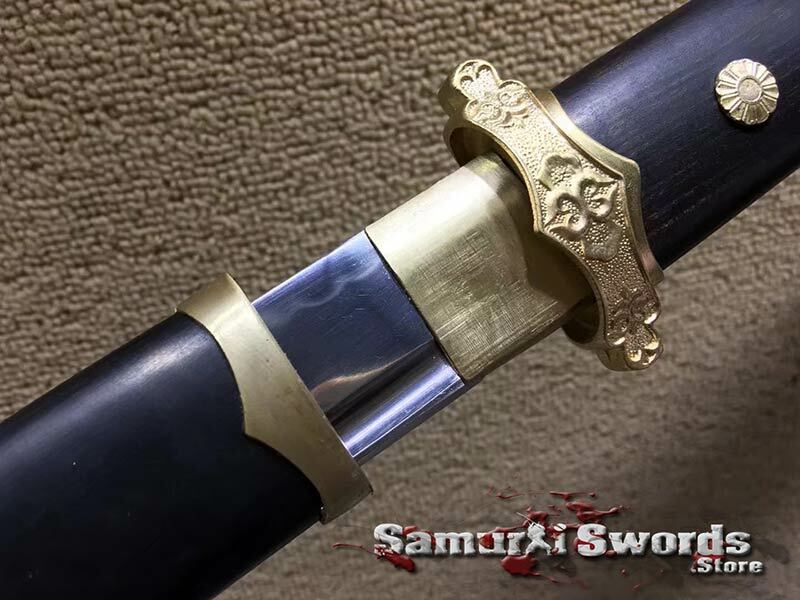 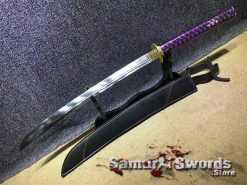 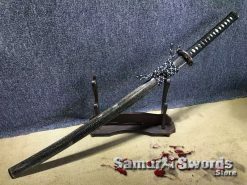 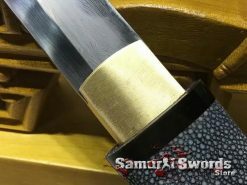 The sword smith makes sure that all the valuable materials to make up this superb Wazikashi sword is well taken care of. 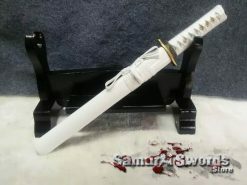 Moreover, featuring a blade made of T10 clay tempered steel the sword is of a superior quality and durability. 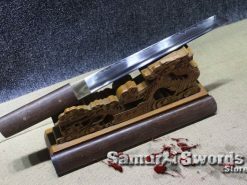 With a blade width of 3.2 centimeters, The Wazikashi is fully-sharpened and it features a bohi (blood groove), adding to its strength and lightness at the same time. Its fittings are all made of high quality brass. 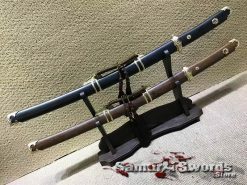 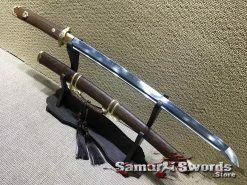 The sword is full tang, adding and you can choose between rosewood or ebony wood finish (Saya and Handle). It also comes with a free silk sword bag.